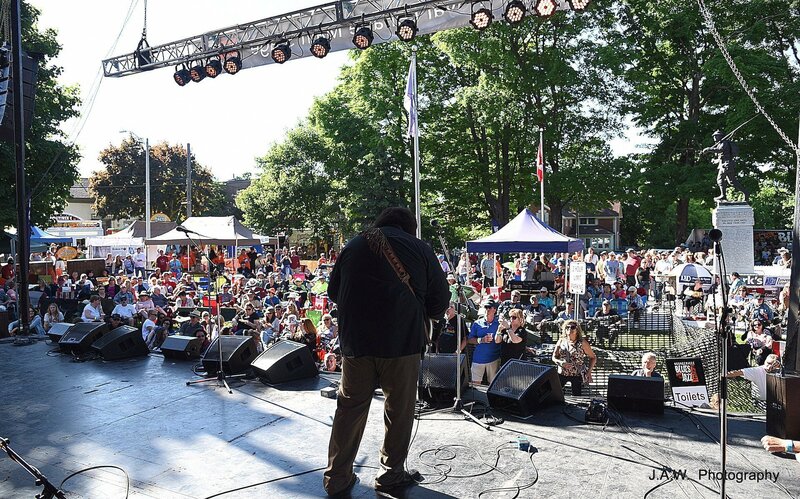 The Festival Main Stage is outdoors in Alexandra Park at Second Street and First Avenue adjoining Orangeville Town Hall. Admission to the Main Stage area and the Opera House is $5 per day or $10 for the entire weekend (Friday to Sunday) and is licensed for beverage service. Limited bleacher and picnic table seating is available, and patrons are encouraged to bring their own folding chairs. Hours of operation are from 8PM to 11PM on Friday, 2PM to 11PM on Saturday and 12 noon to 6PM on Sunday. An excellent selection of food services is provided in the adjoining Vendor area.